This entry was posted on January 1, 2018 by Valentina Chiriacescu. The moment to choose your baby’s first shoes is here. It's a wonderful phase of your life as a parent, but it can also become a hard one. You need to decide what shoes are the best to protect, support , fit well & be comfortable for your baby. And why not, look cute! Of course, you're after the perfect experience for your baby’s first steps. And for that, you need to pick the right shoes. Keep on reading & learn which baby shoes are the best for each of your baby’s phase and age: for when he’s in the crib, to crawling, learning to walk, and finally, walking and running around like a little bee! Should a baby wear shoes? Does your baby really need shoes? How important are they? This is the most common question asked by parents. Although getting your baby first pair of shoes could be exciting, don’t hurry to go shopping. Even though baby shoes are important in protecting the baby’s feet, they are not necessary for the early months when the baby is in the crib or the stroller. According to the American Academy of Pediatrics, babies' feet can develop well without shoes. Baby shoes are not bad for babies - just not completely necessary in the beginning of their development. When your little one still crawling, leaving him barefoot and feeling the floor will help develop his balance, strength, and coordination. Babies will need their first pair of shoes when they will start walking. Until then, you should just put your baby a pair of socks to keep feet clean and warm when needed. However, when you take your baby out in the world, you can give him a pair of soft soles for extra protection! Types of Baby Shoes: What Are They Called? You’re used to booties, sandals, sneakers, but chances are, if you’re a new parent, you don’t know the baby shoes "lingo", like pram or cruisers. They can come with names you’re not yet familiar with, however it’s all down to the stage the baby will be needing them: whether it's being protected inside the crib, or for when the baby starts to crawl, stand up and learn how to walk, and finally when the toddler walks & runs freely. There are a lot of babies shoes out there, one cuter than the other. But what types of shoes can babies actually wear? A pair of good baby shoes will always be made out of comfortable and quality materials that are breathable, and so worth buying for your little one's feet. What age can babies start wearing shoes? It’s necessary for my baby to wear shoes as a newborn? This is the most common question asked by parents. In the first months of life, it’s best to keep your baby barefoot. But sometimes, in the colder periods or when your baby is outside, crib or pram shoes and booties are a good choice. Crib and pram shoes are almost the same kind of shoes. They are both newborn shoes, made of a soft bottom and they are meant to keep the babies’ feet warm and not touching the ground. Also, they are seen as a fashionable thing since babies still can’t walk. The pram shoes are usually worn when a newborn is out in a pram or chair walker. If you find these shoes necessary or if you like them, pick a pair that is as comfy and light as possible. Also, look for crib or pram shoes to have elastic around the opening to be easier to get on and more likely to stay like that. For your baby girl or boy, you can choose a pair of soft sole shoes or booties for newborn. These shoes are soft and light, crafted to offer comfort and freedom to your baby’s feet. An alternative could be soft leather shoes or crocheted shoes. Both are comfortable and will successfully complete baby’ pure look. Crib Shoes for Baby Girls T-strap - Available here! Crib Shoes for Baby Boys and Girls - Available here! If you prefer for yout baby to be more free, an alternative will be soft sole shoes for newborn. Soft sole shoes are not only soft and comfortable but are also perfect for photo shoots, parties and for any type of occasion. Crib Daisy Shoes for Baby Girls - Available here! Whatever crib shoes you choose for your baby, they usually cost between $15 and $40. Between 9-12 months your baby will start crawling around. He will try to explore the surroundings outside the parent’s arms. Some babies will also try to make some shy steps around 9 months. What are Baby Cruiser Shoes? In this period you need to know that there aren't any shoes that can help your baby stand or walk. Though, the protection and traction of the feet are really important. So the perfect shoes are the pre-walkers, or baby cruisers. Baby cruisers are best for crawling - they are made out of soft materials and have a bendy sole, with an elastic around the ankle that makes them easy to take off. You can find this kind of shoes between $20 and $50. 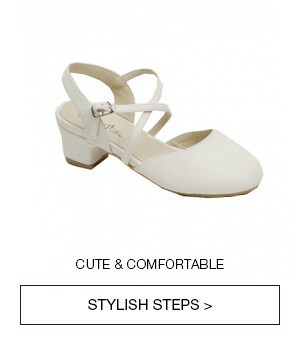 White Leather Shoes for Pre-walkers - Available here! Moccasins for Baby Boys - Available here! White Leather Shoes for Pre Walkers Girls - Available here! When there are no obstacles in your baby’s feet way, let him stay barefoot or just wearing some socks, for as long as possible. This way the feet can properly breathe and stretch. Usually, babies start to walk between 10 and 15 months. But every child is different. Do not worry if your little one will make his first step sooner than 10 months, around 18 months or even later. Give your baby the support he needs every step of the way and lots of encouragement. His first steps depend on genetics, his ambition and also his own weight. So just be patient and your baby’s walking will come naturally! Be sure your house is child-proof for your little walker and you are around all the time. This way you will prevent any accident from happening. When your baby starts to pull himself up it's time to help him sit. At this stage, your baby develops his back & leg muscles. To help him do that, you can start by bouncing him on your lap with his feet on your legs. You can also place his favorite toys in near areas where he will need to sit to reach them. Another good option for teaching your baby sit is buying him a bouncy chair. When you baby will start kicking with his legs, this chair will satisfy your baby’s desire for movement. In the beginning of the standing phase, your baby will still crawl. He will need your arm or some furniture support and later on, just your fingers. When learning to stand, it's important for your baby to understand how to bend his knees. This will help ease his fall when he starts walking. So support your baby to stand up and then teach him how to bend his knees to get back down. Be sure you encourage and cheer for him with every progress! This will boost his desire to pass to the next level: cruising. When cruising, help your baby gain balance by placing him in a standing position. Support him to take a few steps by holding hands together. Then, let your little one try walking by himself. Do that as much as possible and don’t forget to praise him for every attempt. This will encourage him to take more steps on his own and become more confident. If he start walking, you can step to the next shoe category: the walking shoes! The best walking shoes for babies? When should you get your baby's first walking shoes? There is no right or wrong answer, as it depends on how your baby develops and starts walking. As a general rule: the baby's first shoes would be best suited for kiddos who already spend some time on their feet. So when your little one will take his first steps, he will need to be protected. What are baby walking shoes? Baby walking shoes are different from the normal newborn crib or cruise shoes, which are often crocheted, or extremely soft, and resemble socks or slippers. This type of shoes will have a a good grip (possible with velcro), a lot of ankle support, but are also flexible, non skid sole (oftentimes made of rubber) and a substantial upper. Their main role is to protect the baby' feet outdoors (and even indoors!) and on any surface that could be dangerous. The best walking shoes are flexible ones that support the baby’s ankles and encourage natural foot movement. Soft, non-skid soles help beginning walkers feel the floor, move indoors and keep their feet under them. So babies will gain more confidence when walking. When shopping for the first walking shoes, expect to find prices from $20 up to $60, depending on materials and style. Floral Sneakers for Baby Girls - Available here! As its name say, Smart Steps shoes from bellow will help your boy walking with confidence. These white leather shoes are ideal for everyday casual wear. Smart Step Shoes for Baby Boys - Available here! Babies are growing fast. So after walking, the running phase is just around the corner. When your little one starts running, you have to buy shoes that are a bit different than his first walking shoes. The most important things at the toddler shoes are the fit and function. So check the length, width, and heel. Be sure that the shoe is not too tight to restrict your toddler’s feet natural movements. Also, the shoe should not be too large, so the walking test will say. Choose a pair of durable shoes that will provide your baby enough stability when walking or running. Also, you can pick shoes with lights and sounds (squeakers) that could make your toddler’s walk much more fun, so he can become more excited and eager to walk. You can find walking and running shoes for your baby at $20 but also above $60. Toddler Girls Shoes for Walking - Available here! Toddler Dress Shoes - Available here! Soft Sole vs Hard Sole Baby Shoes: What to Choose? The soft-soled baby shoe is made of soft, flexible that give comfort, warmth, and protection. This kind of shoes is best for newborns and beginner walkers since the traditional shoes are way heavier. This can be uncomfortable and could hinder your baby’s feet development. So you can continue to give your baby soft-soled shoes until he learns how to walk. Babies need to start wearing hard soled when they already walking by their own or running outside. It is more short of protection and helps to prevent slipping and sliding. So you should buy this hard sole shoes when your baby is around 24 months. But of course, it depends on how fast he learns to walk. Both soft and hard sole shoes are mandatory for your baby for when he is going out or needs protection or warmth. Apart from that, on safe surfaces, you can let your babies foot free. What are the most common baby shoe sizes? When choosing the best shoes for your baby, knowing the right size from the beginning is crucial. Especially if you don’t have time for stores and you prefer online purchases. Learn how to fast measure your baby’s feet and then match the baby’s feet measurements with the shoe size. How big are baby shoes? How to measure the right size of your baby's feet? To choose the right size of your baby shoes If you’re wondering how to figure that out, it’s not that hard. Just pick one of the below measuring easy methods. After gathering all the needed materials, ask the other adult to help the baby stand still on a straight surface. Make sure that the foot is flat on the surface and the toes are not curled. Take the tape measure and put the broad side of it on the outside. To obtain the length, measure from the heel to the longest toe. And for the width, measure the widest part of the foot. Use the colored marker to make a sign on the tape measure that shows you how long your baby's foot is. Do the same process for the other foot. Write down the measurements and make sure you take them with you at shopping. It will be much easier to pick the right shoe size. Fix the paper with the tape on a hard surface in a way that will not be moved during the process. Bring your little one and position him on the paper. Ask the second adult to hold the kid still and ensure full weight is exerted on the foot. Pay attention to the foot to not be arched and toes to not be curled. Gently press down on top of the foot and toes of your baby as best as possible. Use the pencil to outline the baby’s foot. Fix the second piece of paper and repeat the same process for the other foot. In the end, cut out the outlines from both sheets of paper. And there you have it - two beautiful outlines of your baby’s feet! Take the outlines with you when shopping. Use them as references at the next buying shoe session. Besides the two measured methods above, a more professional approach is measuring the baby’s feet by a qualified shoe fitter. You can usually find one in any baby shoe store. Look for the shop to display a certificate of training or the fitter to wear a badge of merit. When you find one take your baby and go shopping. The qualified shoe fitter should help you measure the baby’s feet. Afterward, he will give you some guidance or recommendations about the shoes. In this way, you can find the shoes that fit properly for your baby. Keep a pair of socks on if the baby is going to wear the shoes this way. The best time to do the measuring is at the end of the day when your baby’s feet are at their largest. Be aware that one foot may be longer than the other. It is recommended to use the measurement of the longest foot when purchasing the shoes. When shopping, hold each paper outline of your baby’s foot against the bottom of its corresponding shoe. Each outline has to be a little bit smaller than the shoe. Now that you measured your baby’s foot length and width, you need to match the measurements with the shoe sizes. If for any reasons, you skip the measurement phase, you can simply follow the age column and you will find out the right shoe size. *Please note that this guide is a general one and the numbers may vary from child to child and from shoes to shoes. How often should you get your baby’s feet remeasured? Functional baby’s shoes are better than the trendy ones. But there are some occasions when you should mix both. In special moments, besides the outfit and his lil’ cute face, give the baby a pair of shoes that are not only comfy but also stylish. And don’t forget about the season! Every little princess always needs her pair of shiny shoes. So why not choose the right shoes for the right occasion? If your baby girl is still a newborn, but you have to take her at some special events, put her in some cute, but also comfy shoes. Some pinky adorable soft soles with a tutu will melt everybody. Also, it is a great idea to give your baby a pair of moccasins. For a more fancy look, choose some leopard print soft soles shoes.They are not only soft and comfortable but are also perfect for photo shoots, parties, and all occasions. Baby Girl Shoes with Ribbon - Available here! Leopard Soft Sole Shoes for Baby Girls - Available here! 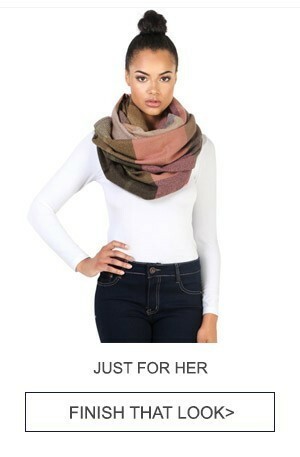 Wheter it’s raining, snowing or all sunshine, your baby girl has to be ready. When the colder season approach, choose her a pair of warmth boots. Soft and cute, colorful and stylish, booties fit well with pants but also with a nice skirt. Crochet Boots for Baby Girls - Available here! Soft Boots for Baby Girls - Available here! If it’s warm outside, then your baby doll has to shine! Complete her summer outfit with some cute sandals. Tan crochet slip-on will suit perfectly, as well as a pair of leather white sandals. Be sure they have a soft sole, for your baby’s best comfort. Crochet Sandals for Baby Girls - Available here! Sandals for Toddler Girls - Available here! For a special occasion, your little girl has to look like a star. Of course, the right shoes don’t have to miss. Choose some shoes with a festive bow, a pair of moccasins or a gold patent upper shoes. She will look perfect for any photo shoots. Moccasin Crib Shoes for Baby Girls - Available here! Festive Shoes for Baby Girls - Available here! Goldy Baby Girl Shoes - Available here! Shoes for baby boys come in different shapes and styles. So read below some suggestions that will make your little one’s outfit stand out! For your newborn boy, soft soles are a perfect choice, for when you go to a family reunion or a fancy party. Give him some delicate shoes made of cotton sateen for a classic style. You can also opt for a pair of champagne silk dupioni shoes. Sateen Shoes for Baby Boys - Available here! White Shoes for Baby Boys - Available here! To protect your baby boy from rain, put a pair of boots that are just right for downpours and rainy days at the beach. For an anniversary or a party, you can give your little one a pair of cowboy boots that are also cute and comfy. Navy Boots for Baby Boys - Available here! Brown&Black Boots for Baby Boys - Available here! In the summer time, sandals are just right for your baby boy. His outfit will look pretty cool with a pair of navy leather sandals. For playtime, give your boy some fisherman sandals, that not only look good but are also comfortable and give protection. Baby Boys Sandals - Available here! Firsherman Sandals for Baby Boys - Available here! At special events, make sure your baby boy looks special too. Pick him some cute leather shoes with a diamond pattern. 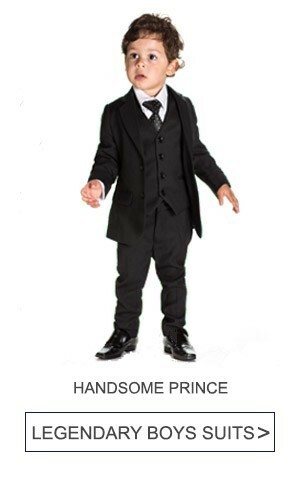 If he is already a toddler, you will not go wrong with a pair of black dress shoes matching an elegant look. Leather Shoes for Baby Boys - Available here! Elegant Shoes for Baby Boys - Available here! 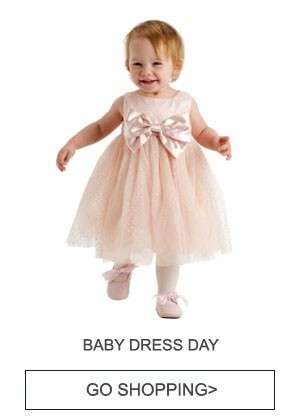 Angles Garment has items related to Christening / Baptism, First Communion, Quinceañera, and Wedding. You can find shoe sizes from 0 months up to 7 toddlers for boys and girls. They mostly have shoes made out of soft leather, with laces suitable for infants and toddlers. Some of them also provide ribbed anti skid sole, so they are suitable for little walkers and runners! This brand is well-known and respected for their baby boots. Its innovative designs and quality materials include tough, durable leathers and slip-resistant shoes. They also have booties for babies up to 4 months. So you should choose this brand if you want to keep your baby’s feet warm and protected. Lito has a variety of elegant items for special occasion. So you can find here glossy baby shoes with or without lace. The sizes are from 0 babies to 6 toddlers, for both boys and girls. If your baby is already walking or even running, you should choose him shoes with durable rubber sole from Mooshu Trainers. You’ll find shoes and sandals for both boys and girls. They all have hook and loop strap for easy on/off and adjustable fit. As its name says, Smart Step has shoes for babies that are learning to walk. So they are ideal for 3 babies to 8 toddlers. Usually, at this brand, you can find leather shoes for baby boys with hook and loop fastener closure or with laces. The specific for this brand are Christening items, including baby shoes. The shoes are made by polyester matte satin or cotton sateen. Most of them have laces but you can find some pair of shoes with a cross over side tab that is buttoned with a pearl shank button. On Z by Yoon you will find soft-soled shoes best suited for newborns but suitable also for babies up to 18 months. Most of the shoes are moccasins that are comfortables and have elastic around the ankle which make easy to put on and take off. If you are looking for some shoes in colder periods for your baby girl (1-8 baby), Modit brand can help. It has booties with faux fur cuff for warmth indoors and outdoors. The sole of the shoe is flexible and lightweight so will provide comfort for your baby’s feet. Rockin’ Baby rocks the stage with lots of colorful clothes. They have also some really cute booties that will protect your little walker on rainy days. If you buy an item for this brand, the brand will give an item to a child in desperate need. To check all of our baby shoe brands, go to our brand page! When it comes to materials for your baby’s shoes, you surely want something that is not harmful to the baby’s skin. So you should know from the start that some types of materials are much better than others. Choose natural and quality materials as much as possible. These include leather, cotton, canvas, mesh or velcro. The most recommended ones are leather and mesh because it allows the feet to breathe. On the other side, avoid buying synthetic or plastic materials, which compared to leather, will make your baby’s feet sweat and get over heated. The sweat can persist and even lead to fungal infections. Choose soles made out of rubber for traction and to prevent slipping or sliding. You might also want to choose a sole that is flexible to let your baby move in a natural way. If the baby is already walking on his own or even running, choose some shoes with a raised tread to ensure some extra grip. Every baby’s skin is sensitive -way more sensitive than an adult’s skin. So right after your baby is wearing a pair of shoes, look for irritated spots on his foot. If problems appear in some areas, it may be caused by the shoes’ material. You can change them and try other types of shoes from natural materials. This way you will find the right shoes for your child. Shopping with your baby for the first time is a new experience for both of you. It can be truly exciting, but if you’re shopping in a mall, it is highly possible that your baby will put up a fuss or start crying. So prepare yourself to pay attention to the most important aspects of shoes in order to be really fast, or turn your attention to online shopping. Your baby’s shoes shouldn’t be too large or too tight so they don’t bother or damage the baby foot in any way. So when buying shoes for your baby, make sure to check the fit. So when buying shoes for your baby, make sure to check the fit. To check the length, try to press your finger above each shoe at the end of your baby’s longest toe. You should be able to feel about one finger-widths space, which will give your kid space for wiggle and growth. Babies usually have fat little cherub feet. So check the width by going along each side of the shoes with your hands. You shouldn’t feel any pressure or bulging. Don’t forget about the heel. While your baby is sitting, lift one foot up and hold the ankle with one hand. With the other grip the heel of the shoe and look for the shoe not to slide too much, but neither be too tight. Also, ask your child to stay still. You should be able to squeeze your pinky between the shoe and kid’s heel. If your baby is already walking, it'ss good to also test the shoes in this way. Make sure your kid is not slipping off the heel and he can walk with no struggle, in a natural way. When shopping with your baby is crucial to set the right time, especially if you’re not shopping online. Avoid the time of the day when the baby usually expects a meal or a nap. Instead, plan the shopping session afterward, so your baby will be more likely to cooperate. Just in case your baby becomes too tired or starts crying, take his favorite toy to make him feel better. Baby shoes can become quite expensive, as you have to change them fasy, as your little one grows. So a lot of parents are tempted to find cheaper solutions. For example, some prefer to give the baby their bigger brothers or sisters’ shoes or buy them from second hand shops. Are used baby shoes ok? The big problem here is that the baby shoes are usually made to fit a single user. For the second user, these shoes will not provide the right support and it’s hardly possible to fit perfectly. Over time, second hand shoes can seriously affect the feet’s healthy development. With that said, we wisely advise you to buy new shoes. If you are a more fashionable parent then you want your little one to also wear trendy clothes. So probably you’ll buy him outstanding outfits and cool shoes. Nothing bad in that, as long as any trendy show will not affect your baby’s health. When you go shopping, pay attention to the things that we pointed out in `the fit` section above. Your baby’s feet need to be as comfortable as possible. When your baby is already a toddler, he will probably reject the shoes that are bothering his feet . Put quality above everything. Your baby’s feet will definitely thank you! Where to buy baby&toddler shoes? Now that you are ready to choose the best baby shoes, maybe you’re wondering where you can find them. You can start by taking a look at our lovely shoes collection for baby girls and baby boys. You will find lots of kind of shoes in many adorable models and colors: soft soles, sandals or even boots. We wish you all happy first baby’s steps!